I didn’t plan that, but it looked so delicious I just had to share it. 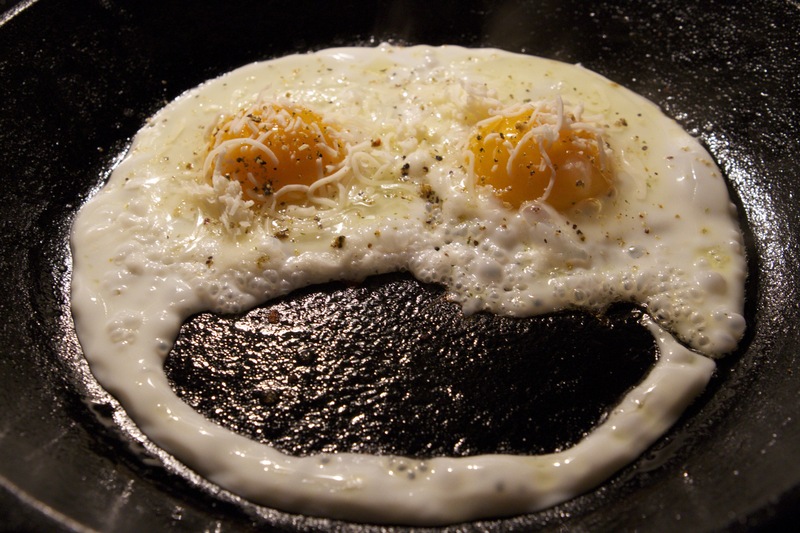 I guess when you make the same breakfast every day, sooner or later a smiley face or a madonna is going to appear in my eggs…. Parmesan on those? Yum! This bodes well for a good day for you. Hope it is! That’s some smile – more of a halloween ghostly breakfast! Sure looks good though!